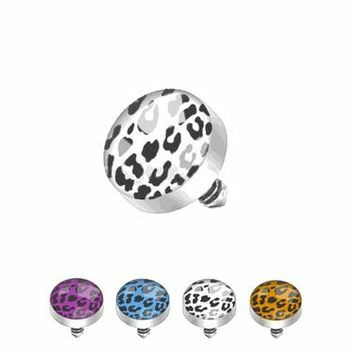 This is a 316L surgical steel Leopard Print inlayed dome dermal top. All one piece machine cut and internally threaded. Thickness is 14 gauge and 5mm ball size. Colors available in purple or blue. Item is sold individually.